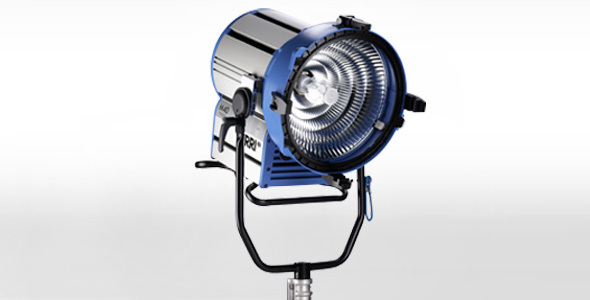 Like all members of the M-Series, the M40/25 unifies the advantages of a PAR light and a Fresnel fixture. Due to the unique lens-less Max Technology, the unit is open face and thus very bright, but also focusable over a range of 18-52° HPA, casting a crisp shadow. The reflector characteristics is optimized for 4000 W lamps, but can also be used with 2500 W lamps. The lamphead is equipped with a CCL module (compensation for cable loss). When operated with the new ARRI EB 2.5/4 kW with CCL, full power is maintained all the way to the lamp even when very long cables are used. This means uniformly high light output independent from cable length.